Minecraft PE Temple Seeds for Minecraft PE/Minecraft Bedrock Edition. These seeds have a temple at or near the game spawn point. View all Minecraft Seeds or all Minecraft PE Seeds. 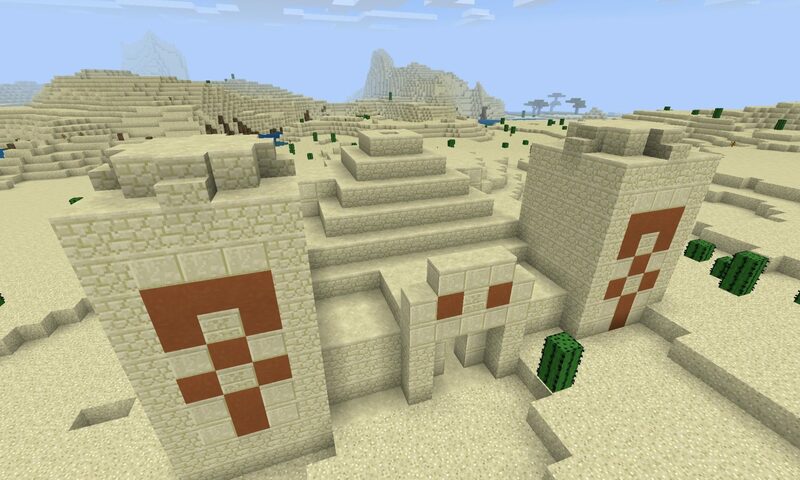 Grab the chest loot from the pyramid/desert temple at the game spawn point in this Minecraft PE Seed (Bedrock Edition Seed). You’ll get emeralds, horse armor, gunpowder, gold and more items! 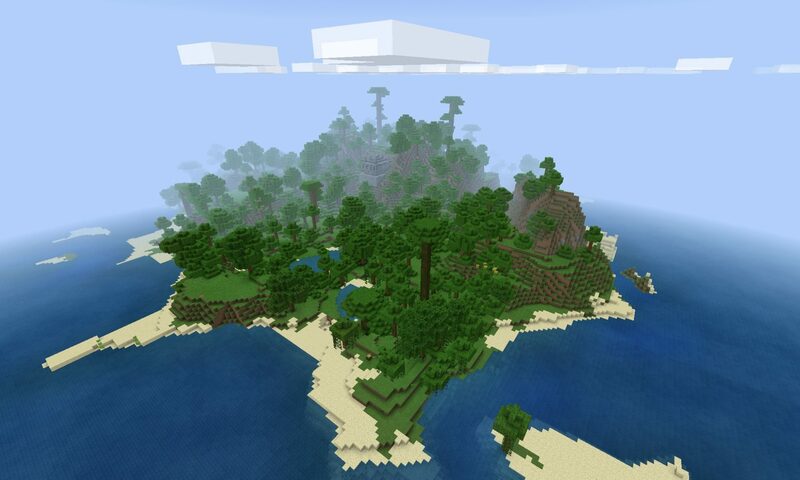 In this Minecraft PE island seed you spawn on a massive jungle island. Beaches, turtles, jungle pandas and a jungle temple await. For Minecraft PE/Bedrock versions 1.6, 1.7, 1.8+ and higher. 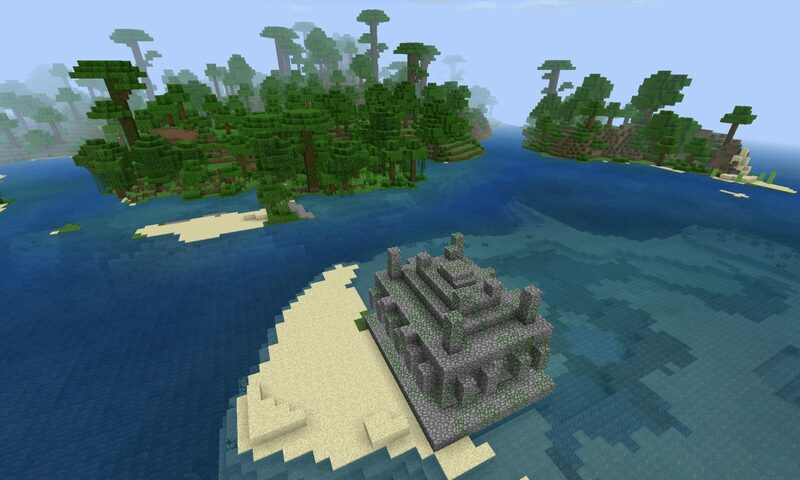 In this Minecraft PE/Minecraft Bedrock Jungle Temple seed you spawn staring at a jungle temple which is on a small sandbar in the ocean.